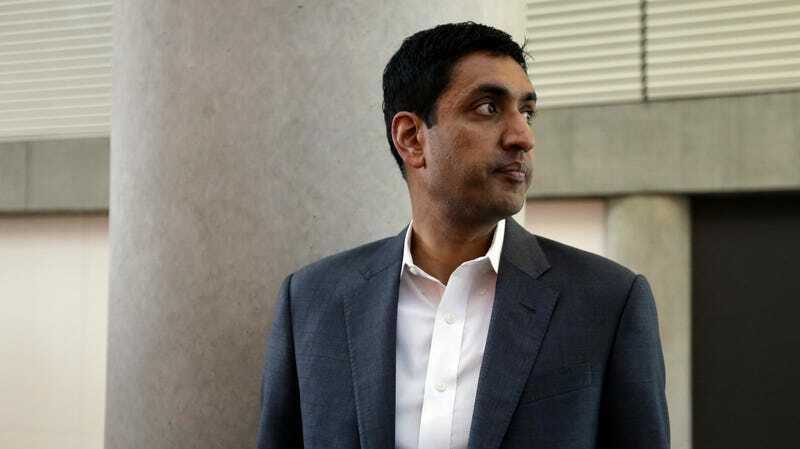 Ro Khanna, then-Democratic candidate for U.S. Representative from California’s 17th District, during a break in the California Democrats State Convention Saturday, Feb. 27, 2016, in San Jose, Calif.
Silicon Valley has pissed off a great number of people, particularly in 2018, so promising to grab Mark Zuckerberg by the short hairs and rein in his company’s misuse of personal data seems like a pretty good way to rally the troops. It’s not Facebook alone, of course, but every company trading in the intimate details of other people’s lives—information, often deeply personal, that’s amassed by faceless, profit-driven entities whose sole purpose is digitally stalking users around the internet, day after day after day. Khanna was reportedly tasked with producing the list by Democratic Leader Nancy Pelosi who, depending on the midterm election’s outcome, may return to her former role as Speaker of the House. In crafting the list, the congressman, whose district is home to many of America’s top tech companies, spoke to some of “tech’s biggest brains,” according to the Times, including former Obama White House CTO Nicole Wong and World Wide Web inventor Sr. Tim Berners-Lee. Apple, Facebook, Google, and other top companies were likewise consulted. Pelosi and Khanna have both reportedly expressed that Silicon Valley may not be entirely against the idea, having come to understand over the past year that the tides are turning against them. Below are the ten principals that make up Khanna’s draft bill of rights. Naturally, some of the terms are pretty vague: “reasonable business practices and accountability,” for instance. Hopefully, if the list is ever translated into legislation, the right experts will be called on to help lawmakers define what terms like “reasonable” really means.